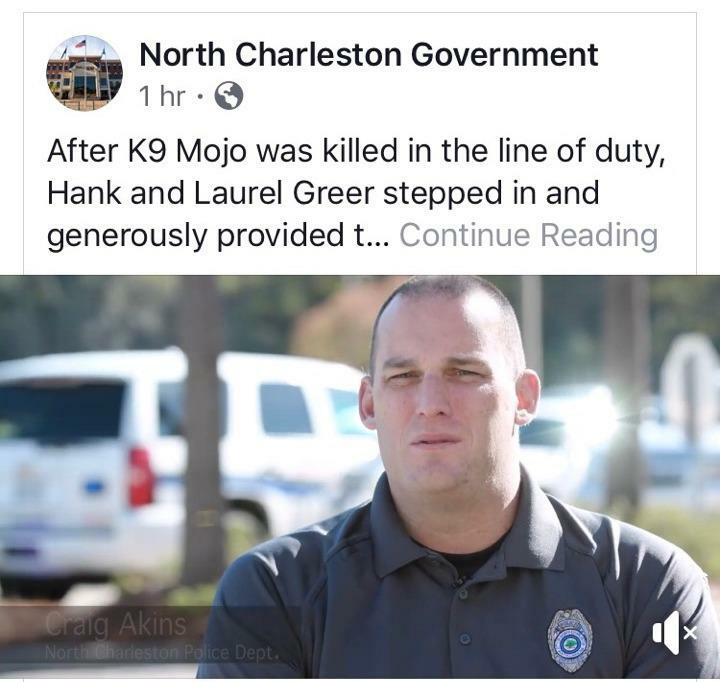 Past Chief Craig M. Akins has worked for the North Charleston Police Department for several years. Several months ago he was elevated to the prestigious position of K9 officer with his department. Please enjoy the video below by clicking on the link. We are all very proud of you Chief and please STAY SAFE Out There!